Published by Lincoln Cathedral (November 2008) as a fund-raising exercise, Capturing Lincoln Cathedral is a stunning collection of over one hundred photographs of Lincoln Cathedral. The only problem is that if you wished for a copy, you would be hard pushed to find it anywhere. The book was launched at Moorland Coop on Tritton Road (a Coop superstore on the edge of town). It would be difficult to think of a more inappropriate place for a book launch. More appropriate locations for a book launch would have been at the Cathedral, the Museum or Waterstone's in the Market. Finding the book on sale proved to be very difficult. Could I find it on sale anywhere in Lincoln? The answer was no. I checked all the bookshops. Nada. I asked in Waterstone's. They said no, not seen it but had plenty of inquiries. When I described the book, they said it would have walked off the shelves and they would have expected high volume sales in the run up to Christmas. They would have been more than happy to have hosted the book launch. I thought maybe try the gift shop at the museum. No. They were not even aware of its existence. When described, they said it would have sold if they had copies. They would also have been more than happy to host the book launch. No copies in the Tourist Information Centre in the Market. They have copies of the excellent Lincoln: A Pictorial History by Ann Yeates-Langley but no copies of Capturing Lincoln Cathedral . Maybe Ruddocks. They were after all the printers. If it was there I could not find it and I knew what I was looking for. I could not be bothered troubling the bored looking assistants. The Cathedral gift shop. They surely must have copies on sale. Again no. Had they run out. No. It beggared belief that they had never had copies. They suggested I try the Coop. The Cathedral gift shop did though have a few prints from the book on display, but these were behind the counter and obscured by a dusty plastic film. Hardly at their best or on prominent display. These were not even noticed until drawn to my attention. Contrast this with the Museum gift shop which has some stunning prints prominently displayed on the wall above the bookshelves. The Cathedral gift shop did have the Lincoln Cathedral canvas shopping bag (a part of the Capturing Lincoln Cathedral gift set) on display, though no price tag visible. It was reasonable to assume these bags were not free, though maybe they were to carry away a purchase. The Coop was the last place I would expect to look for a book, but having tried everywhere else, I thought I'd try the Coop. Not any old Coop but the Moorland Coop where the book had been launched. The Moorland Coop told me they had had copies, but been asked to send them back. Back where on whose request, was not clear. The helpful assistant was though able to find a couple of copies. As a lady and gentlemen had just been told they had no copies I gave them the good news and they bought the two. As a contributor they asked would I sign one of their copies, which I was happy to do. It was claimed the book was on sale in all local Coops. Inquiries of a few local Coops within a week of publication no copies were found and the staff were unaware of the book. Washingborough Coop (a pharmacy and Post Office) had never had a copy. Suggested try food Coops! A copy was recommended to the little village library at Washingborough (now rarely open thanks to County Council cuts) for their local history section. They were not aware of the book but would try to order a copy. A check of the library catalogue showed not a single copy in the entire county library system! At the very least one would have expected a copy to have been donated to the Central Library in Lincoln for their local history collection. The presentation of the book leaves much to be desired. It is available as a gift pack in a plastic presentation pack. It is not at all obvious what it is, it could be a tea towel. And is the book worth having? If you can find it, yes. It is very stylishly produced and one of the best books available on Lincoln Cathedral. It is just a pity that those responsible for its sale and promotion did not have a clue. It is rumoured Capturing Lincoln Cathedral will be re-launched in the spring. If true, I can only hope a more professional job is done. If a second edition is to be published, I would suggest a preface of a couple of pages on the history of the Cathedral and at the back a bibliography on further reading and as the book was a fund raising exercise a page on the Cathedral's fund raising activities. And that incorrectly worded captions are corrected. Lincoln Cathedral was used as a set for the film of The Da Vinci Code . No images of this appear in Capturing Lincoln Cathedral . Its is rumoured that only a thousand copies of Capturing Lincoln Cathedral were published in its first print run. If true, then it has already become a much sought after collectors item. 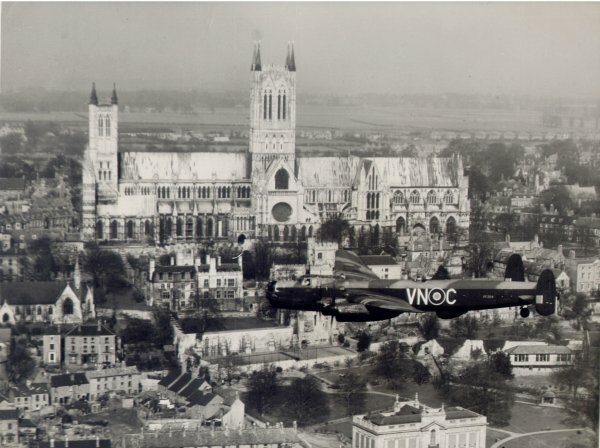 An inquiry to Cathedral fundraising officer Sally Crawford revealed that copies of Capturing Lincoln Cathedral were stockpiled in Gainsborough. A sure fire way to ensure plenty of sales! 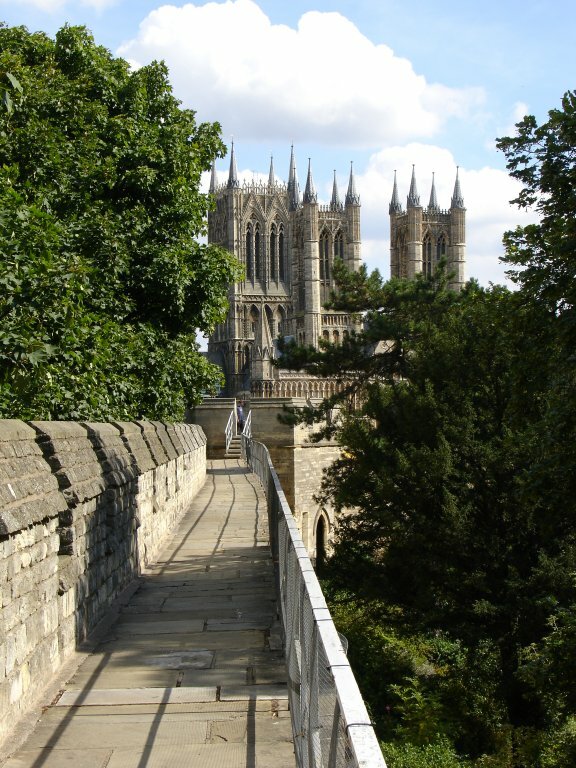 It is also rumoured that there will be no re-prints or further print runs of Capturing Lincoln Cathedral . If true, then the artwork should be handed over to another publisher who hopefully will do a better job than the amateurish job by Lincoln Cathedral. If correctly handled, this is a book that will continue to sell for years to come. An account of Capturing Lincoln Cathedral and the fund raising activities of the Cathedral is given by Cathedral fundraising officer Sally Crawford in an article 'Lincoln Cathedral Gift Wrapped' in esprit (Winter 2008), the magazine for members of Lincolnshire Co-operative. Other than for special projects, Lincoln Cathedral receives no official public funding. Typically the Cathedral needs annual funding of around £4 million. Curiously Capturing Lincoln Cathedral lacks an ISBN number! Prior to publication it had the working title of Capturing the Cathedral . June 2009, after the promised relaunch, I checked again. The only difference was that this time around there were copies in the Cathedral Gift Shop and the Tritton Road Coop superstore had copies, hidden beneath the cash till in the groceries section if you knew to ask! BookCrossing books are released into the wild and their progress checked on the Internet via a unique BookCrossing ID (BCID).